Let me state the obvious: modern technologies instigated new forms of consumption in the early 20th century. This is well documented in the visual arts–particularly in photography. Right now New York is home to a number of good exhibitions showcasing photography as the medium that truly represented the changing social and physical landscape of a historical era. 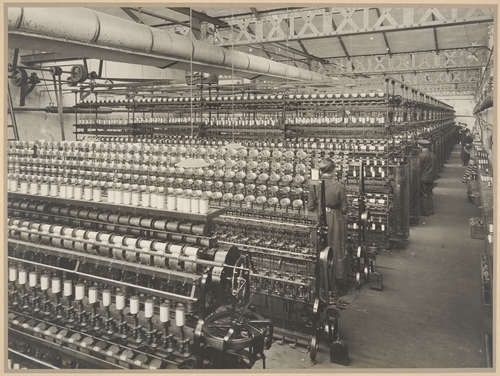 Stieglitz, Strand, Steichen, Shamberg, and Atget brought beauty to the industrial and the industrial to beauty itself. Techniques such as photogravure and autocrome united art to technology and challenged pre-established ideologies of reproduction, aura, and art itself (Benjamin is the obvious here). 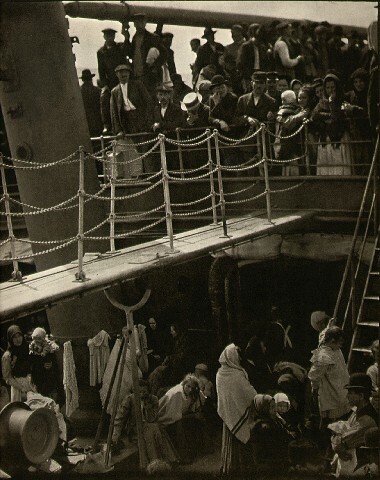 Impressive images such as Stieglitz’s The Steerage practically extinguished any 19th century concern regarding the validity of the photographic image as art. The ability to capture the shadows and geometric planes of organic and inorganic forms not only narrated the psyche of the medium and the subject it was capturing, but of Western Society’s entire historical shift. Picasso drew attention to this when he put photography on par with painting, which pleased Stieglitz enormously. This gelatin silver print is estimated to be from 1910 from an unknown artist. Although the image is fairly small (38.8 x 52.2 cm) it immediately reminded me of another photograph from a much later time period. 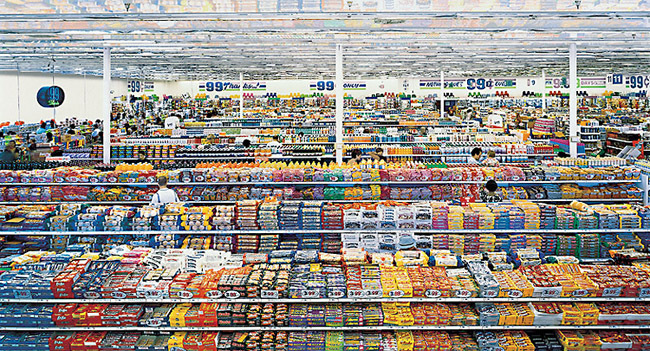 Andreas Gursky’s 99 cent, a chromogenic color print from 2001, illustrates photography’s technical progress as well as loyalty to early modernist themes of technology and consumption. Roughly 207 x 307 cm, 99 cent is of enormous proportions and perhaps implicitly references the linear growth of consumer appetites. While Gursky’s digitally manipulated work is an opportunity for critics to revisit that early argument of whether or not photography deserves to be placed on the pedestal of high art, the camera lens continues to provide us with an eye into historical patterns of repetition of lines, planes, light, and that persistant relationship between technology and consumption.